To get the best graphic design art services in New Orleans, Baton Rouge, Shreveport, Lafayette, or Lake Charles, turn to Capital Exhibits. We have the most affordable graphic designers in the region, as well as the expertise to get you the right 3D rendering design and right products for any of your business goals. 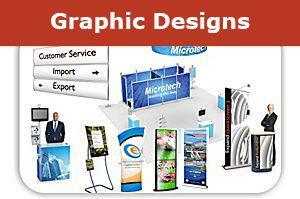 Ask about wide banner printing service for indoor and outdoor use. Our graphic design services and modeling designs consist of new products, electronics, beverages, glass items, trade show display designs, business cards, flyers, banners, brochures. With the proper graphic design images and advertising, your company can experience improved sales and brand recognition. Our business graphic design services are the perfect investment regardless of your industry—the ROI will speak for itself. Our products include some of the latest techniques, including QR codes. This is the easiest way to connect to your clients through the use of smartphones. By using the latest graphic design trends and techniques, Capital Exhibits can create a streamlined brand image to help you reach your target customers. Check out our products HERE and see the variety of options available to you. Our displays are easy to assemble and break down, which means you’ll save time and effort during exhibition and other promotional events. We have products that fit any budget—try a package deal or even a rental plan. Try one or any combination of these products and discover the difference it can make in your customer traffic. Our graphic design capabilities don’t stop at trade show displays. Our brochure design work is ideal for giving potential customers something to take home and learn more about your company. Order business cards to have on hand at all times, or order custom a tee shirt design for your staff to wear. We don’t offer cheap graphic design—we offer quality products, exceptional customer service, and an incredible value. By investing in quality graphic design services and products within your specific price range, you will see a noticeable ROI. For information about logo design prices, print design pricing, and all other graphic design quotes and rates, just go to https://www.capitalexhibits.com/request2.html. 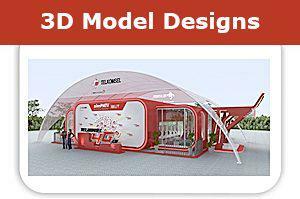 Choose Capital Exhibits for your graphic design needs. Our graphic art design services are one of the best in Louisiana and we can prove it to you! Our motto is “we build your best image,” and we do that by offering innovative design at a great price—all with prompt delivery. When you’re ready to order, give us a call at (703) 339-9494 or send us an email at [email protected]. We can’t wait to start building your best image, so let’s get started today!